Let’s face it, the incomparable brilliance and majestic beauty of Swarovski Crystals speak for themselves. Any jewelry designer and admirer can distinguish the unsurpassed superiority that Swarovski has been known for in their 120 years of experience. 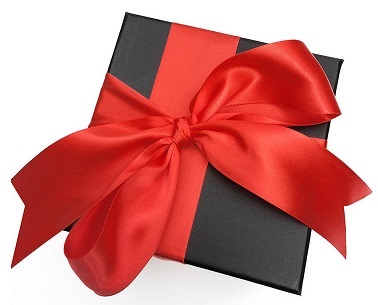 People who use Swarovski Crystals in their designs, understand the value of a quality product, so as gift givers and business owners, if you are going the extra mile to create gorgeous jewelry that will be worn and loved for years to come…shouldn’t the gift box reflect that same exceptional beauty? I emphatically say, YES it should! You should too and here’s why…. Normally we give gifts in a wrapped box with a bow on top. There’s nothing wrong with this, it’s a perfectly nice way to give a gift. But if you want to outshine your competition, or want to really make a lasting impression that has an extra special touch of glamour, the box in and of itself becomes a piece of artwork. It shows that you have spent time and effort creating an exceptional piece of jewelry and the presentation is equally stunning! Here are some beautiful ideas to inspire your creativity. I absolutely fell in Loooove with this, it’s is one of my favorite ideas for displaying and presenting pearl jewelry! It’s so elegant and is definitely a one of a kind, keep sake item for that special someone. My grandmother gave me a treasured little book years ago, which I imagine you’re all familiar with called “How to Win Friends and Influence People.” It’s a real gem and a great piece of insight explains that a person’s name, is to that person, the sweetest and most important sound in any language. That’s powerful! It’s no wonder why it’s incredibly popular to personalize everything these days, from jewelry to license plates and what better way to add a customized quality to your gifts than engraving their name right on the box! People love to feel special and this is a perfect way to make people feel warm and fuzzy! Create a gift box that simply oooozes Love with sparkling Swarovski Crystal Pearls, Beads and Pendants such as these lovely Siam Hearts. Have fun inventing different designs tailored to each occasion. Let your creativity stick! Embellishing gift boxes with Swarovski Flatbacks using the Crystal Katana is a captivating and impressive way to create that instant wow factor. The receiver of this gift is sure to light up immediately and think… if what’s inside is even half as stunning as the box, I love it already! The age old saying “it’s better to give than it is to receive” is absolutely true. You and your customer or special someone, are going to feel great no matter how you present your jewelry gift and if you add a little extra sparkling detail or personal touch, it is sure to be memorable. This entry was posted in Jewelry Inspirations and tagged Box Treasures DIY Free Design and Instructions from Swarovski's Create Your Style, cheap crystals, Cheap Swarovski Crystals, creative box ideas, Crystal Katana, DIY gift Boxes, DIY Love Gift Box Free Design and Instructions from Swarovski Create Your Style, DIY Swarovski Crystal gift boxes, elegant gift boxes, embellished gift boxes, Outshine Your Competition When Giving or Marketing Jewelry With This Essential Secret, Personalized Keep-Sake Box, Rainbows of Light, stylish gift boxes, stylish jewelry gift box ideas, Swarovski, Swarovski Baroque Bermuda Blue Jewelry Set, Swarovski beads, Swarovski Crystal Beads Wholesale, Swarovski Crystal embellished gift boxes, swarovski crystal wholesale beads, Swarovski Crystal wholesale to the public, Swarovski Crystals, Swarovski Crystals wholesale, Swarovski Flatbacks, Swarovski Pendants, Swarovski Siam Hearts, wholesale swarovski, Wholesale Swarovski Beads, wholesale swarovski crystals. Bookmark the permalink. ← Sparkling St. Patrick’s Day Jewelry Inspirations!